If you’re anything like me, you’ll know that logging on to Gmail is sometimes a chore, because of all the reminders about security that pop up after I type in my password: Verify my recovery phone number? No thanks. Check my security question? Boring. Change my password? Passwords can wait, Google, I have emails to reply to! But to commemorate Safer Internet Day, Google has come up with the perfect way to make sure we don’t skip that pesky security checkup process again. 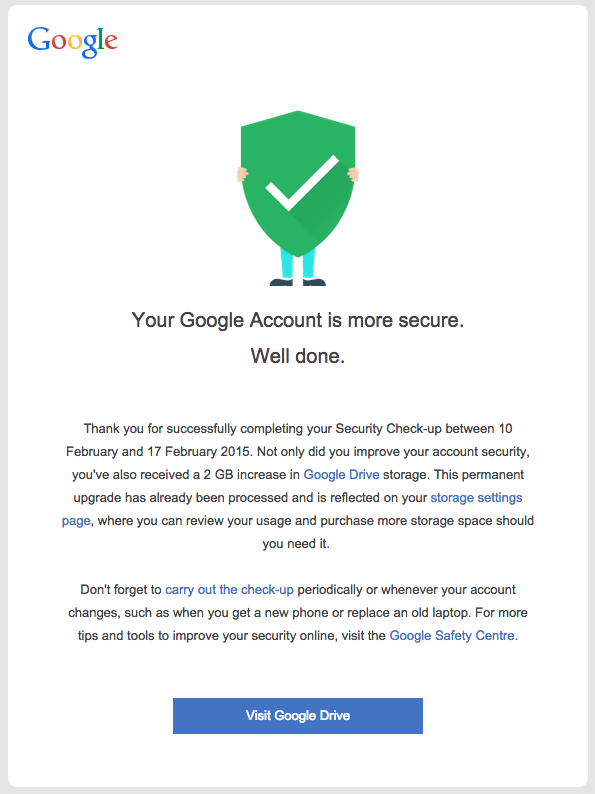 From now till 17 February, users who complete their security checks here can get an additional 2GB of Google Drive Storage. It takes all of 2 minutes (unless you don’t remember your own phone number), and you only need to update things like your account recovery information, check your recent sign-in history, as well as make sure the devices that are allowed access to your account is correct. According to The Next Web, users who successfully manage to get themselves the free storage will be receiving an email confirmation at the end of the month. So stop procrastinating — it’s bad luck, according to the Chinese New Year superstition, anyway — and do your security checks right now. After all, free storage won’t wait. 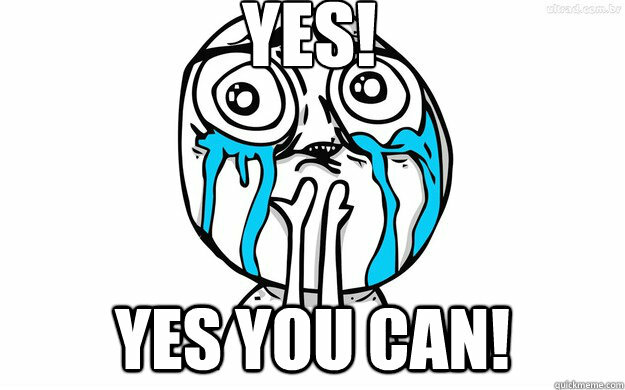 The campaign has ended and those that participated should receive an confirmation email on permanent storage upgrade! Google Drive 2GB – Thanks!